Game of Thrones Fourth Season is just around the corner. To celebrate the return of everybody’s favorite death frenzy of a series, you should be loading up on Game of Thrones gear. What better option than a throw pillow to cuddle you through the beheadings and twincest? 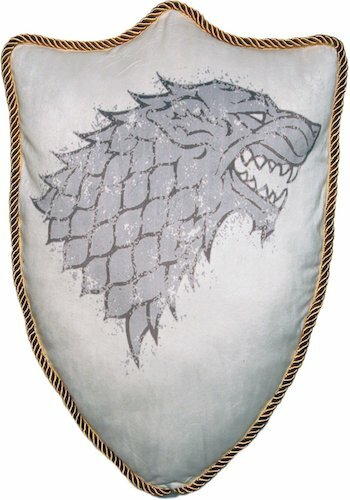 The House Stark Direwolf Sigil Throw Pillow is just one awesome pillow in an entire series that can help bring a touch of Westeros to your home. Each pillow costs $29.99, including the Targaryen and Lannister designs that give each couch a different perspective of the war.